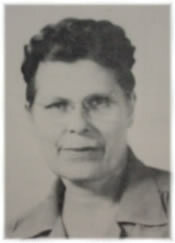 Janet L. Brockett was certified as a school teacher in the State of Texas on June 1, 1909. She taught in the Itasca Independent School District from 1909 - 1911. Mrs. Brockett came to the Mansfield ISD in 1943 as the Principal and Math Teacher. She later stepped down as Principal but continued her math teaching until 1957. Mrs. Brockett died in 1979, but her legacy lives on at Janet Brockett Elementary School. "This wonderful lady is very deserving of having a school named for her, " said Nancy Pat Sims Griffin, Mansfield High School, Class of 1953. "She was a great math teacher who pulled a lot of us through. She always went the extra mile to help her student."